For those of you who were keen gamers back in the early ‘00s, you’ll have no issue remembering how classic games like FIFA, NBA and NFL took to the streets for some spinoff action, or how the likes of FIFA Street shook things up with its unique and refreshing gameplay. Since that point street-style shakeups have been very few and far between with each of our current yearly offerings trying to out-do one another in realism. 3on3 FreeStyle however looks to change that by taking us for a spin on the courts with a single hoop and a team of three street superstars with an all new street-style basketball offering. Whilst its arrival seems to be rather spontaneous, it’s also completely free, so I jumped in to see just what the latest free-to-play title was all about. 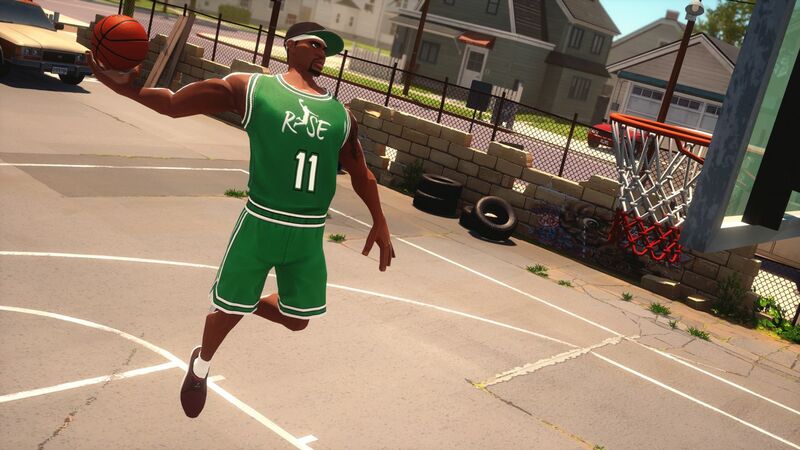 On starting things up for the first time, players are shifted into the tutorial and take control of Joey, one of the young basketball stars available in your team. I’ll be honest though, much like my numerous attempts at the many NBA titles, the tutorial left me with more questions than answers. However, after coming out having seemingly satisfied the videogame gods, I set off into my first match – a 3v3 online matchup to see just how much had actually sunk in. As mentioned before this is no NBA game and as such you won’t find any licensed material here. Instead what you’re left with is more akin to a friendly game of basketball with your friends in the park, rather than a measure of competition level ability. This rings true from the characters that assemble your team all the way down to the way in which you play, including the half-court play area from which each game is played. Starting off with the team and whilst each game is – as the title suggests – a 3v3 affair, there are actually 15 various characters to unlock, level-up and use within your team. Each of these come with their own unique appearance and larger than life personality, as well as a distinct play style that affects the ability and expected playing position of each character. As for the game itself and it’s quite clear early on that 3on3 FreeStyle isn’t really a game that takes itself all too seriously, with a smooth jazz rap tune playing out in the background, preparing you for a relaxed chilled out style of play rather than some serious tension building edgy track. The characters themselves are hardly dressed for competitive sporting action either, with over the top jewellery and outfits on show throughout. Onto the game modes though and there are two distinct options; a 3v3 option and 1v1 option. Of course, being an online centred game, you can’t always expect to be the best of the rest and there is also the option to practice on your own in an outside court. But with no option to compete against the A.I. there’s nothing that’s really going to help you prepare your skills for the online battles that are to come. For me, the early matches showed me two things. First of all I was either really lucky or really good, thanks to a 10/10 win record from my first 10 matches, but most notably it showed that you need a team willing to compete. Often in games such as FIFA, Madden or anything similar that requires strangers to work together in a team setting, you either have to have a willingness to play as a team or you fall apart. 3on3 FreeStyle is much the same and whilst I was often being matched up with players wanting the win, my opponents weren’t so keen and it seems that putting up with greedy team mates is just part and parcel of the online experience. What makes this worse is that coming up against a well organised team who have carefully planned their characters and play style can lead to a no hope experience thanks to the lack of a skill-based online matchmaking system. Results can go awry through no fault of your own – all because little Johnny over there doesn’t want to play ball. Should you find a team willing to communicate and play properly however, then 3on3 FreeStyle can actually be a surprisingly additive and enjoyable experience. Matches are only a few minutes in length meaning any impending loss is over and done before it’s had time to disengage you from trying anymore, and when it works, it does work well. What helps this is the fact that the controls are so simple, with just a few buttons necessary to shoot, defend and move your character about the court. There is one major issue however that really affects things, and being a free-to-play title, it isn’t unexpected, but it is a game-breaker that truly prevents any initial enjoyment from lasting too long. I’m talking about microtransactions of course, and whilst they are likely to be present in any free-to-play game, the last thing we expect is having the option to improve personal characters’ abilities by paying with real cash. This is a possibility within 3on3 FreeStyle however and with the in-game currency – P – dished out at a painfully slow rate, the chances of honing a squad with similar abilities to those that have paid out some quick cash is highly unlikely. This obviously gives the happy spender an overwhelming advantage – something you will find out on numerous occasions when coming up against players with fully decked out characters. What makes it worse however – yes it gets worse – is that currency for the game isn’t cheap, with celebrations alone costing upwards of 30 points. Bear in mind that the lowest points bundle of 50 points costs as much as £3.99… for one celebration, whilst 550 points will set you back a hefty £39.99, and things do seem off. 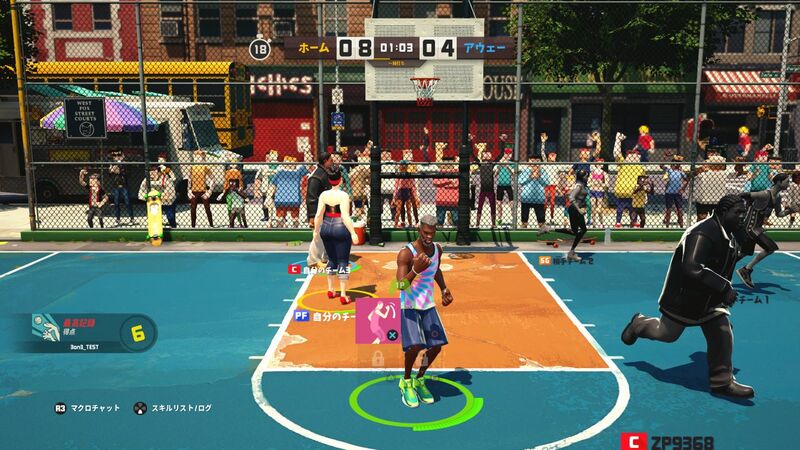 3on3 FreeStyle brings a keen reminder to why we love street-style games so much, but the clear pay-to-win influence stops this particular game from shining, turning it into a battle of the wallets rather than a test of skill. 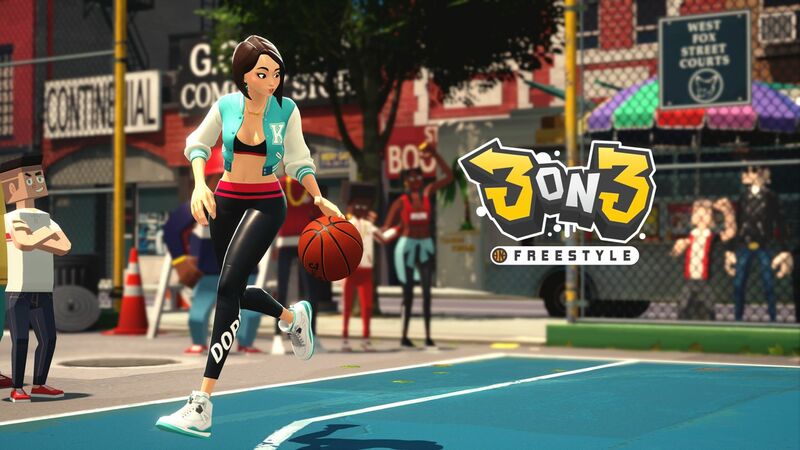 With no single player mode included and only two online options to choose from, the lack of variation and repetitive nature soon sets in, with 3on3 FreeStyle failing to provide enough to ensure it has what it takes to run against the yearly sports titles arriving on Xbox One.